A lyric look at collusion, set to the tune of "Grandma Got Run Over by a Reindeer". A poem for 'The Pink Fluffy Unicorn Contest'. 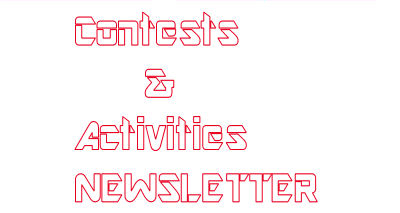 Welcome to the Contests & Activities Newsletter. 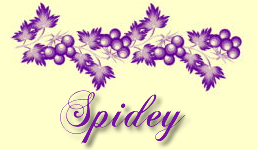 I'm spidey , and I'm your Editor this week! It's important to ask for help when you need it. If you need help hosting a contest or activity, if you have a question about how the site works or how to find something, if you need help entering a contest or activity, etc. - Please ask for help! First off, at the top of every page, next to "Get Started," is a link titled "Writing.Com 101." It answers a lot of general questions about the site and how it works. The site can sometimes seem confusing to new members but you'll get the hang of it in no time! Secondly, there are some great forums for help: "Technical Support Forum" [13+] and "Non-Technical Support Forum" [ASR]. A great tip: try searching for your topic before posting. Sometimes you'll find that your question has already been answered! A question I often see is, "How can I find a contest I looked at last week?" If you can remember even part of the title, try searching for it in the search bar at the top left of the screen below the WDC logo! 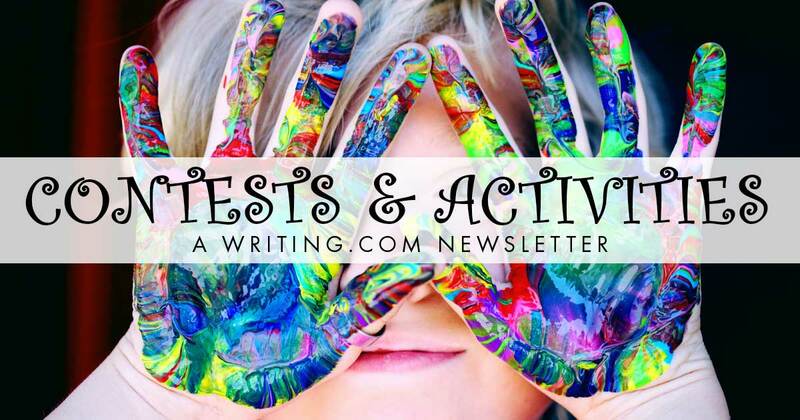 Another way to ask a question is to fill out the response field at the end of this newsletter! If you have a question about hosting or entering a contest, the Contests & Activities Editors would love to provide an answer! Don't let an unanswered question keep you from a great experience here at Writing.Com! Please don't be afraid to ask for help! As always, keep on writing! Write a short story in the given genre to win big prizes! Things you need to know before you open a contest. Includes a contest template. Learn the ins and outs of creating a link using the bitem format. Know of some gems that deserve exposure? Submit them in the feedback form or submission form at the end of this Newsletter, and I'll put them in my next one! How do you ask for help? What resources do you find most helpful? Generated in 1.06 seconds at 12:10am on Apr 24, 2019 via server S30.